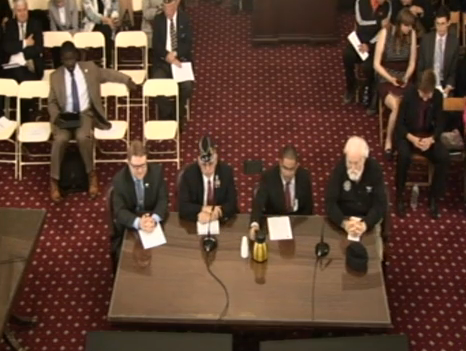 NEW YORK (May 6, 2015) – Today, in an ongoing effort to hold New York City accountable for its 230,000-plus veteran community, Jason Hansman, an Iraq veteran and the Director of External Program Relations at Iraq and Afghanistan Veterans of America (IAVA), will testify before the New York City Council Committee on Veterans in support of City Council Bill S.314, which would establish a citywide Department of Veteran Affairs. The critical legislation, introduced by Councilman Eric Ulrich, Chair of the Committee on Veterans, and created in consultation with IAVA, has so far been opposed by the de Blasio Administration. IAVA, the leading post-9/11 veteran empowerment organization with the most diverse and rapidly growing membership in America, is the only major veteran service organization headquartered in NYC, and boasts a membership of more than 10,000 area veterans. In October 2014, IAVA provided NYC Commissioner of Veterans Affairs Loree Sutton with a set of policy recommendations as a means to develop a comprehensive policy plan for New York City and its veterans. Those recommendations, which include the creation of a new Department of Veterans Affairs, can be found here. For Hansman’s full testimony, click here. Last month, IAVA polled NYC membership and the overwhelming response was that the city is not listening to them. Only five percent of survey respondents agreed or strongly agreed that the mayor is listening to our veterans and service members, and only four percent of veterans surveyed agreed that the mayor was improving the lives of veterans and service members.